‘Tis the season for fundamentalists everywhere to remind the faithful why taking your kid to see Santa is tantamount to carving 666 on their forehead. 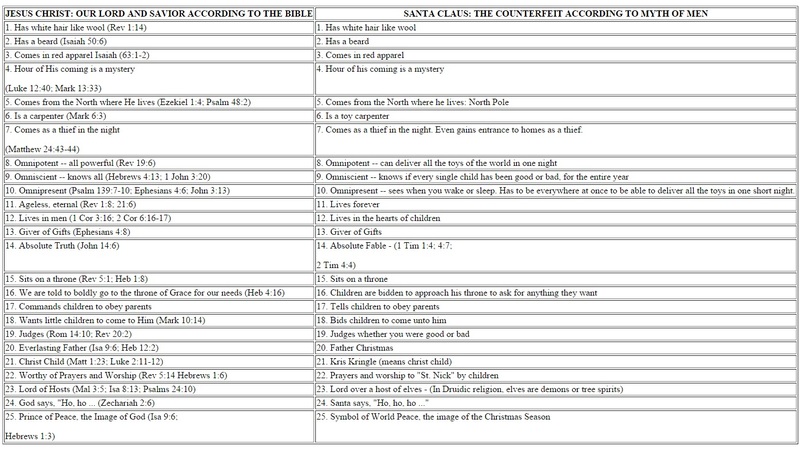 Today’s bit of crazy which gives us the skinny on how Santa is actually helping to bring in the New World Order comes to us from cuttingedge.org and it’s a beautiful thing. I mean where else are you going to find a breakdown with such deep insights as “Jesus and Santa both have beards”? More than ever, I long for Flannery O’Connor to come back and write a story about this sign.